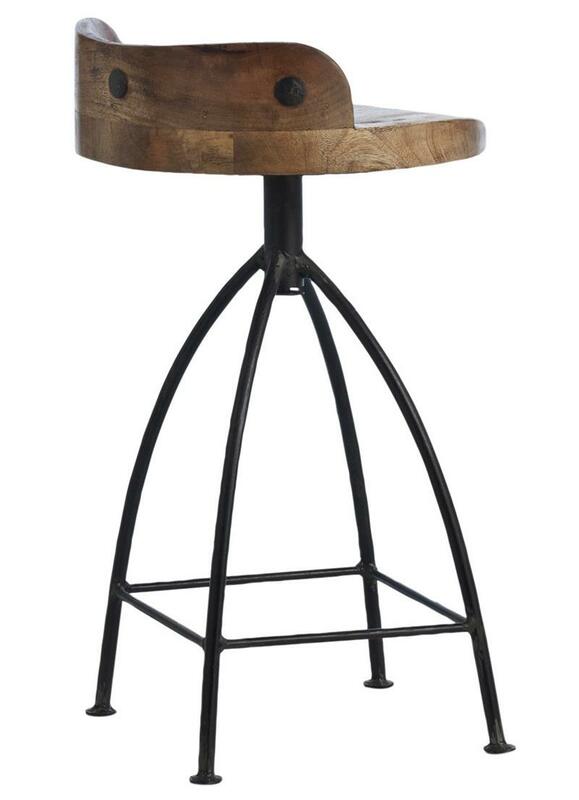 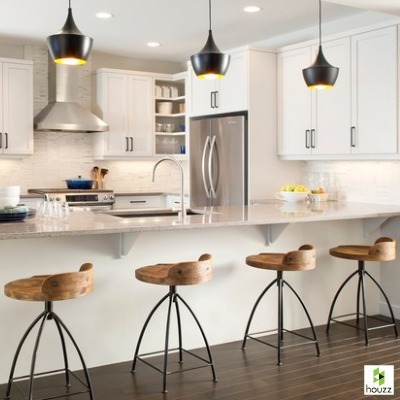 Embrace the trend of industrial chic with cool Henson counter stool. 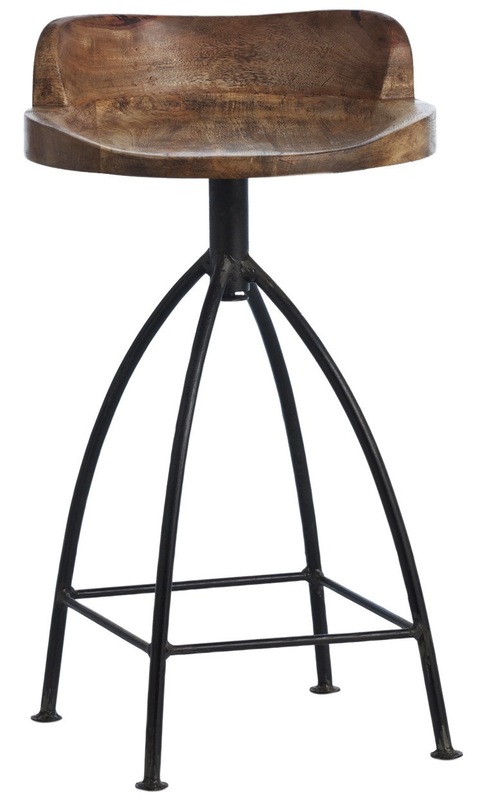 Its wide-legged natural iron base supports a swivel seat of sandblasted and waxed wood for a rustic yet sophisticated vibe. 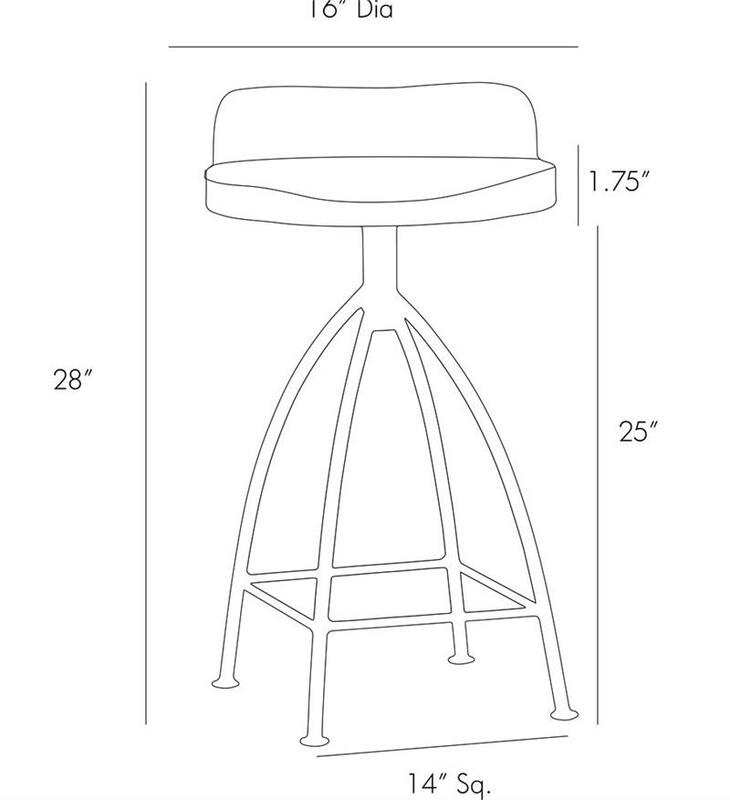 Overall Maximum Height - Top to Bottom: 28"
Seat Height - Floor to Seat: 26.75"